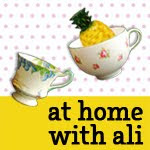 At home with Ali: Chalk and water – a winning combo! 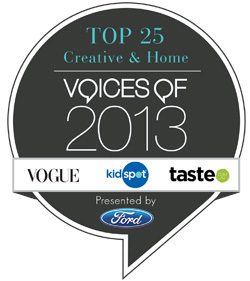 Chalk and water – a winning combo! We bought a new batch of chalk the other day – the thick, chunky stuff in loads of colours. 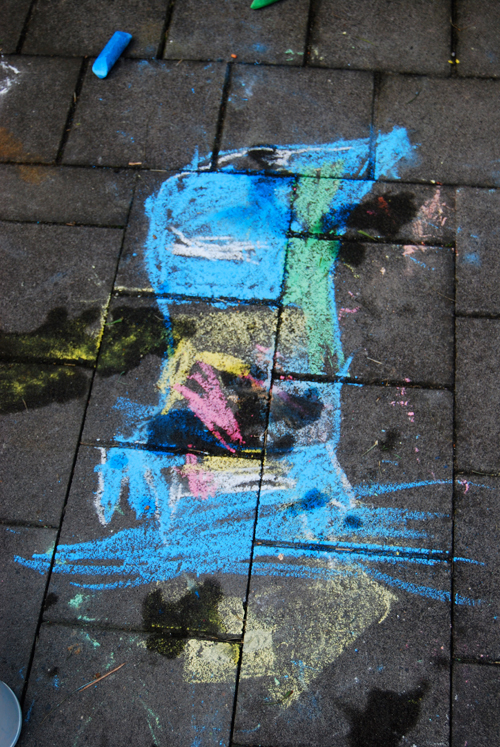 It really invigorated the whole chalk drawing on the pavement thing which had been waning. The whole family got down on the ground drawing all sorts of strange looking animals and squiggles. And then we added a bit of water... using a spray bottle and Boo's discarded water bottle. 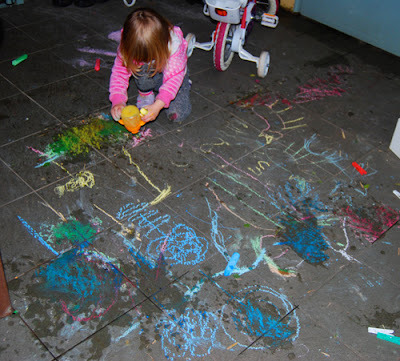 Cakey loved turning the colours darker and swirling her hands in the chalky water. It kept her entertained right up until bath-time. It was a perfect evening! That's great Kerrie. Glad to hear it went down well.